Managed by Australia’s largest organiser of consumer exhibitions, visitors will find the latest in health, beauty, fashion, food, lifestyle, fitness, empowering workshops, cooking demonstrations and more! Attracting over 14,000 women annually, the Expo presents a unique opportunity for over 250+ national and local brands to showcase products and services to a targeted audience, ready to shop. Now with free entry, we’re anticipating even more shoppers through the door! Come be a part of the EveryWoman Expo: enquire about booking a stand or apply to be a guest speaker/performer/workshop conductor. Reach over 14,000 Perth based women who are ready to buy and try your products or services. The event is tried, proven and successful having run annually since 1998. The Expo organises a range of features, from a live Celebrity Cooking stage, daily fashion shows at the Catwalk, free makeovers at the Beauty Bar, interactive seminars at The Podium, engaging workshops and so much more! 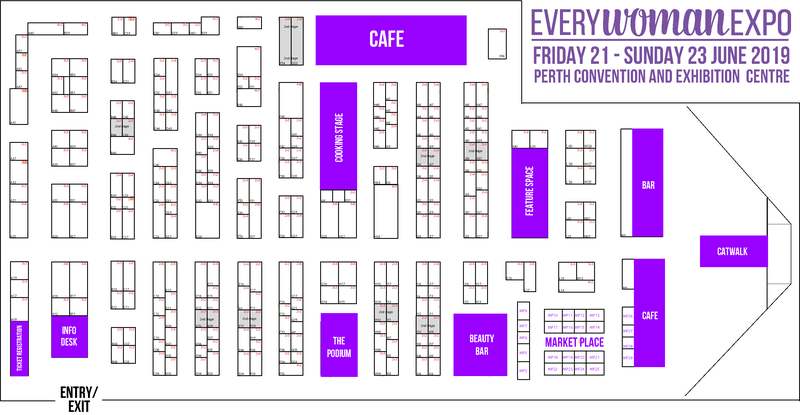 The Expo is organised by EEA, Australia’s biggest and most experienced wellbeing & lifestyle event organiser and marketer. Download the 2019 Expo floorplan here.